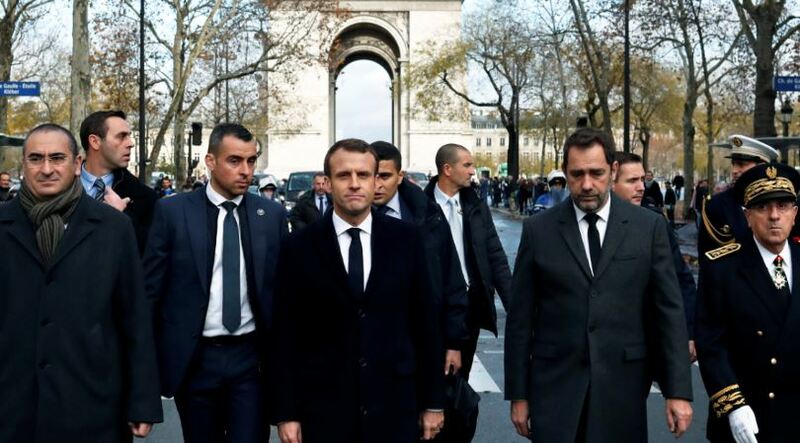 Buzzfeed believes Facebook’s algorithm is largely responsible for riling up France’s working class and encouraging them to riot against French President Emmanuel Macron’s climate agenda. The so-called yellow vest movement roiling portions of France “is a beast born almost entirely from Facebook,” Buzzfeed writer Ryan Broderick noted in a post Wednesday. Macron’s sky-high carbon taxes take second-fiddle to Facebook’s algorithm, he suggests. Broderick argues the change allowed so-called “Anger Groups” to spread viral messages on the social media platform that created an atmosphere of fear. These groups gained traction due to a Facebook change that emphasized local news over published pages. “Due to the way algorithm changes made earlier this year interacted with the fierce devotion in France to local and regional identity, the country is now facing some of the worst riots in many years — and in Paris, the worst in half a century,” he argued. Broderick notes a petition started in May against the carbon tax by French citizen Priscillia Ludosky helped get the ball rolling. Ludosky decision to act likely stems from the nearly $170 per month she is forced to spend on fuel to travel into Paris for business. Ludosky’s petition on Change.org had fewer than 1,500 subscribers before getting picked up on a local radio station. The radio appearance is written up by a local news site, which was then shared on a local Facebook page. The algorithm change allowed the article and petition to dominate the conversation in a small town, according to Broderick. Broderick told The Daily Caller News Foundation that he stands by his reporting. “I think it’s important to acknowledge Facebook’s role here. A national movement was able to mobilize in massive numbers in the span of 10 days,” he said. Broderick did not respond to questions about why the article appears to blame the tools French citizens used to organize rather than the circumstances giving rise to their anger. France temporarily suspended the carbon tax Tuesday following weeks of protests from activists associated with the yellow vest movement. The bulk of those protesting are from rural parts of France and work as truck drivers, caregivers and other middle-class jobs. The tax was part of a gamble Macron made to fight global warming. Macron issued a freeze on any new oil and gas leases in 2017 and intends to ban all oil and gas drilling by 2040. France is not the only European country attempting to ding fossil fuels. Denmark is also seeking to eliminate gas-powered vehicles by 2035. The plan is designed to combat climate change, which Macron and others believe poses an existential threat.